Today, Yes Bank, in collaboration with T-Hub, has launched 'Yes Fintech', a business accelerator program. T-hub is a startup incubator set up by the Telengana government and Anthil – a speed scaling platform for early growth stage start-ups. Yes Bank has been collaborating with more than 100 fintech start-ups and supporting them to provide creative solutions to the corporate, SME and retail customer base as a part of its Alliances, Relationship & Technology (ART) approach to digitised banking, a release issued by the bank said. 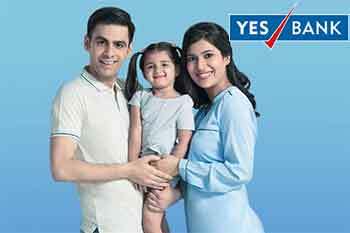 Yes Bank Ltd is currently trading at Rs 1324.9, down by Rs 4.75 or 0.36% from its previous closing of Rs 1329.65 on the BSE. The scrip opened at Rs 1333 and has touched a high and low of Rs 1335.75 and Rs 1316 respectively. So far 1496123(NSE+BSE) shares were traded on the counter. The current market cap of the company is Rs 56266.01 crore. The BSE group 'A' stock of face value Rs 10 has touched a 52 week high of Rs 1450 on 07-Sep-2016 and a 52 week low of Rs 632.25 on 20-Jan-2016. Last one week high and low of the scrip stood at Rs 1342.95 and Rs 1251.6 respectively. The promoters holding in the company stood at 21.85 % while Institutions and Non-Institutions held 65.77 % and 12.38 % respectively.